Despite USD weakness, EUR bulls could not push the price up due to lack of strong economic reports in Eurozone. 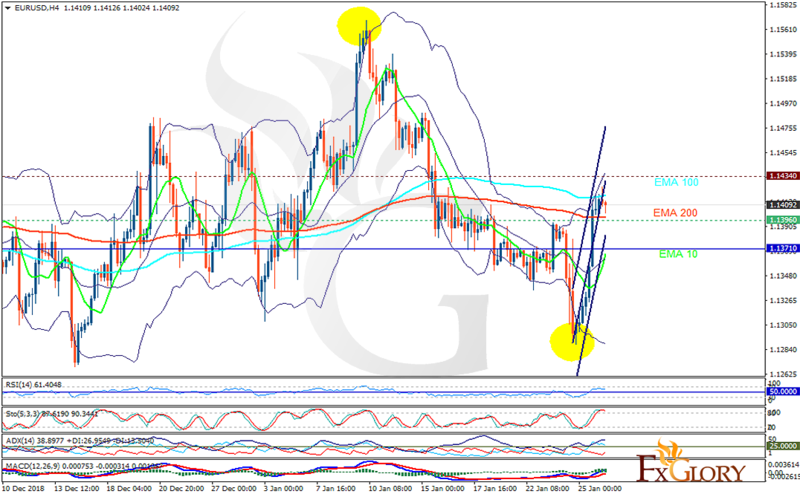 The support rests at 1.13960 with resistance at 1.14340 which both lines are above the weekly pivot point at 1.13710. The EMA of 10 is moving with bullish bias in the ascendant channel and it is below the EMA 100 and the EMA of 200. The RSI is moving in overbought area and the Stochastic is moving in high ranges. The MACD line is above the signal line in the positive territory. The ADX is showing buy signal. The price has reached the upper Bollinger band and it seems that it is not powerful enough to break the resistance zone. EURUSD might be fluctuating within the support and resistance area today.